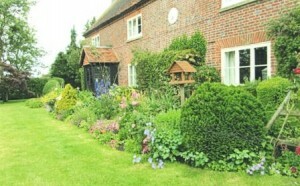 Oakham Farm, is a Grade II listed farmhouse, previously known as Holcombe Farm. It sits on Holcombe Hill and is thought to have been built just after Enclosures, in 1767. The house faces south west overlooking Holcombe Cottages (lately Small Beer Hall) and Christmas Gorse, with Granborough nearly two miles away down the Old Road. Behind is the 1827 Aylesbury/Buckingham Road extension to the Turnpike Road. There is evidence in the Fremantle archives that Robert Carter, the fifth largest landowner in Swanbourne, received a substantial award at Enclosure, bordering Granborough, which included Holcombe. In 1783, the Will of John Deverell reveals ownership of Holcombe Farm, which he describes as his ‘West Down bargain’, derived from an exchange with Robert Carter, West Down being the large parcel of land to the west of Holcombe Farm. In 1823, when the proposed alteration to the Turnpike was made, the owner was recorded as Mr E. M. Lucas. 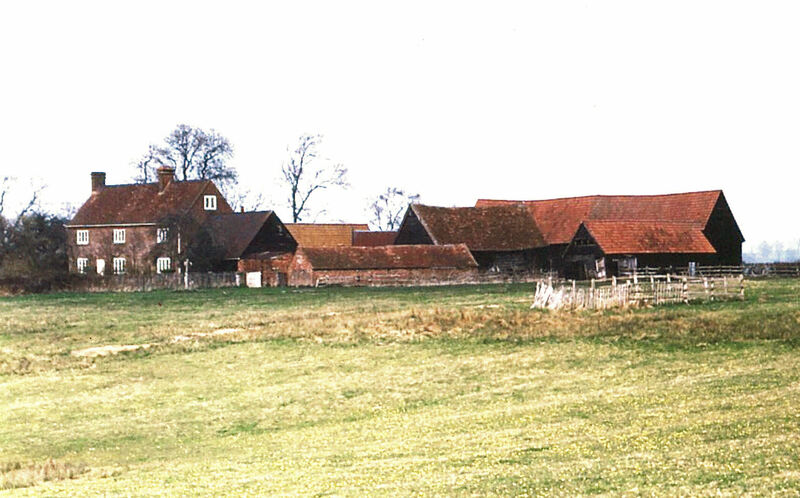 In 1897, Holcolm farm was sold by William Selby Lowndes to the Right Honourable Lord Cottesloe for £4,376.14sh.9d. This was part of the sale of Winslow Hall estate; Holcolm Farm was Lot 15. 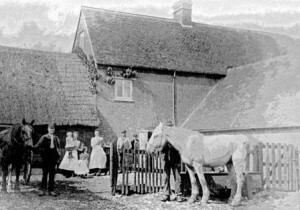 The farm, however, was tenanted through much of the 19th and 20th Centuries, and Mr Henry Dancer retained the tenancy with the change of ownership in 1897. Oakham at the time of the Dancer family as tenants. 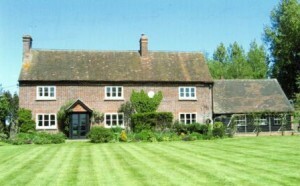 During the 20th Century, the Fremantle family sold the farmhouse, and the name Holcombe was corrupted to Oakham Farm, and this name is retained today, with private owner occupiers.